As promised, I’m updating this post. It wasn’t completed on time for the challenge in July, and actually the photo isn’t even from July. And Sean is missing. But we weren’t able to have a “full” family photo in July because Ben and Jacob were both spending the month in Northern Ontario. And, in truth, I just couldn’t get in the spirit to take a family photo without them here. So, on August 1st I drove half way to pick them up, with Alex and Nathan to keep me company (Sean had to work). It was a long day, and with traffic, weather, and multiple accidents it was a nine hour ordeal before we were back at home. And so, here is the photo that I am posting for July. 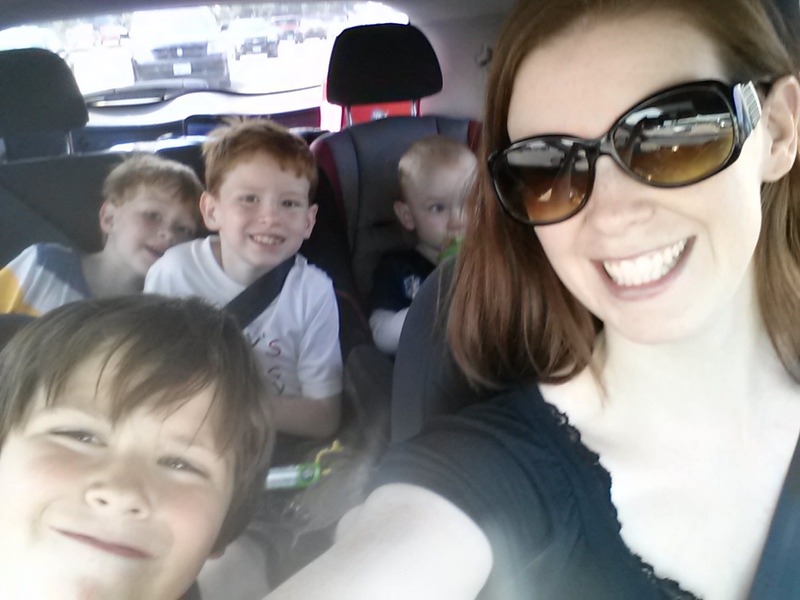 My not-really-in-July-and-not-even-my-whole-family photo taken with my cell phone in the parking lot. But I like this photo, because I was just happy to have the boys together again and be bringing them home. I’m not even sure what to share about July. We’ve been living in our house for a year this month, and for those 12 months we have tolerated the mismatched, cheap laminate flooring with it’s poor installation. After work one day, Sean spontaneously pulled up all of the flooring on the main level – I guess 12 months is his tolerance limit for bad flooring. Sean and Mike laid new floor (which I LOVE), but we still haven’t finished the bathroom. Renovations go slowly here. 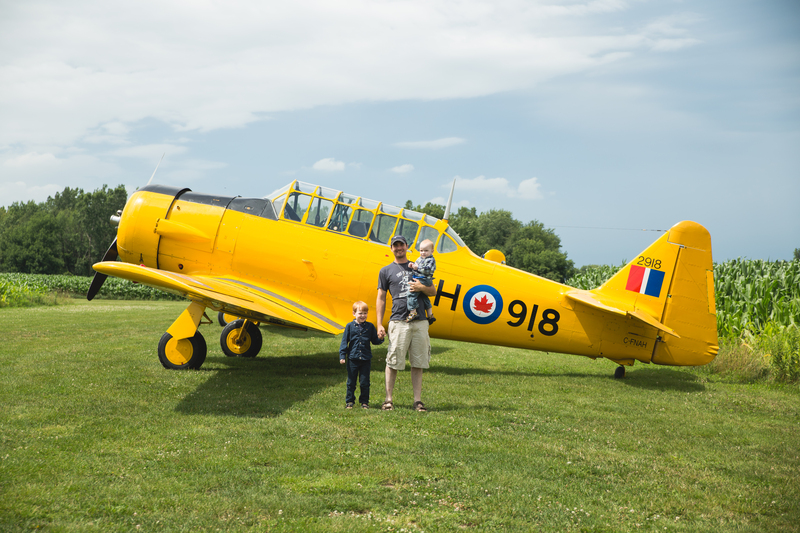 One day, while playing in the backyard, Nathan and Alex and I saw three yellow planes flying in formation and doing arial tricks over Woodstock. Nathan was so impressed by them that I googled them and sent an email asking if they would be practicing again soon so that we could be on the lookout. The Canadian Harvards Aerobatic Team contacted us back and invited us to a private viewing of their next practice. Nathan got to sit in the cockpit, and we were so close to the planes when they took off that we couldn’t hear ourselves speak. And since Sean didn’t get to come and pick up the boys with me, I’ll add in a photo of him with Nathan and Alex from July. This entry was posted in We Were There 2014. Bookmark the permalink.